And now England’s Purity Brewing has collaborated with another well-known English name, Westons Cider, to follow suit. The result is Pure Hopped Cider, which combines Herefordshire apples with Worcestershire-grown Target hops – its creators are very proud of its local origins and traceable ingredients. It came out last month and Purity kindly sent me a can to try. The first surprise was the aromatic hoppy hit on the nose as the can hissed open – it's the smell of uncooked dry hops, not of beer. The liquid pours a cloudy yellow-gold with a light sparkle but no head. 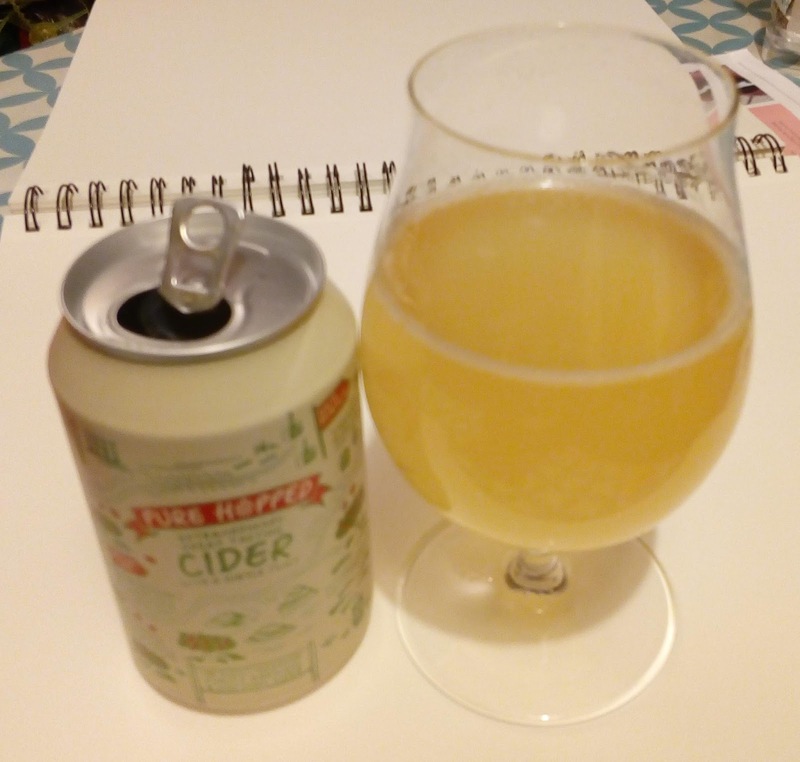 In the glass, the aroma is more of scrumpy cider with an unexpected hint of ginger beer – the proper yeasty lemony kind, not the fizzy soda version. It's sweeter on the palate than I like, but not grossly so. There's a lightly tart apple and lemon note, again a distant note of ginger beer and a touch of hops. It's unusual to get that leafy hoppiness unaccompanied by bitterness – it’s the boiling in brewing that brings out the bitterness, of course. Would I try it again? Sure – it’s an intriguing mix and a nice cider, even if I normally prefer my ciders a little drier than this. It does make me wonder what a proper dry scrumpy would be like when dry-hopped, though!